Metro: None, perhaps Spagna. An alternate is to take Bus 40 or 64 (get off at Piazza San Panteleo, 2 stops past Piazza Venezia, then walk a half-block north from there). 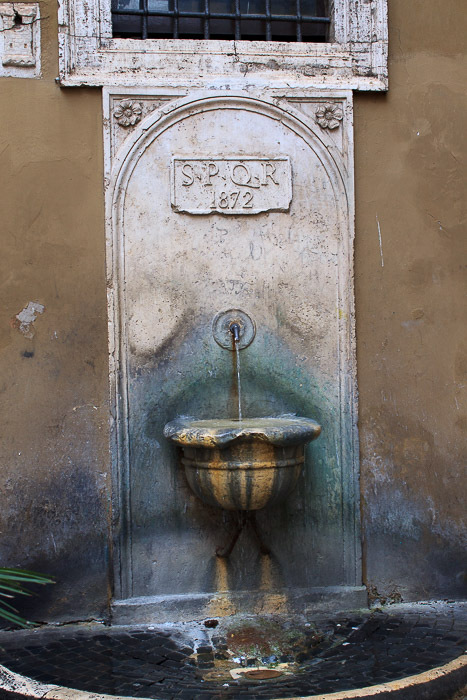 The fountain of Via della Posta Vecchia is a cute little fountain built in 1872 located on the tiny north-south street Via della Posta Vecchia, which is between Piazza di Massimi and the southeast corner of Piazza Navona. See all Fountain of Via della Posta Vecchia photos.